Five year-old Molly Anderson has been battling leukemia since May, 2008. She is a brave young superhero, and thousands of people are cheering her on. Since Molly has superhero status, we thought it fitting that she have her own fancy superimage. 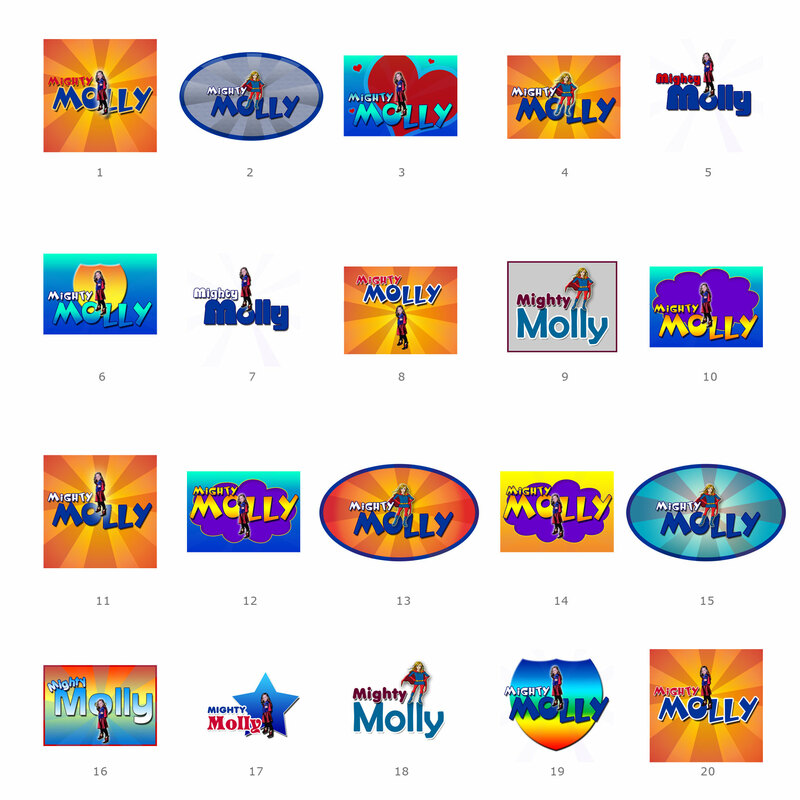 Check out some ideas for Mighty Molly! Hi, my name is Molly. I am 5 years old and quite a character. I love super heroes and making people laugh. I am super tough and super strong. I was diagnosed on May 28th with Acute lymphoblastic leukemia Tcell (ALL). My treatment is long but I plan to be a super fighter the whole way. Thanks for supporting Molly Anderson! I like them all. My favorite is when Molly’s cartoon character is in the sunrays. 3 and five combined I like the heart idea and the colors in 5 also the text in five is cute! Good luck and Bless ! I like them all. The ones with Molly’s picture on them are the best. Good luck Molly with your recovery.